A Full Breakfast Restaurant in an authentic rustic log lodge overlooking beautiful Lake George. Serving a tasty array of popular breakfast items, at “people pleasing prices,” including blueberry pancakes, omelettes, NY style bagels, and bagel sandwiches, plus much more! The Alpine $5.50 special: two eggs, bacon, sausage, home fries, and toast. Kid’s menu. Your choice of lake view or outdoor dining. Open 8:30-11AM (daily during summer season, select weekends in fall). 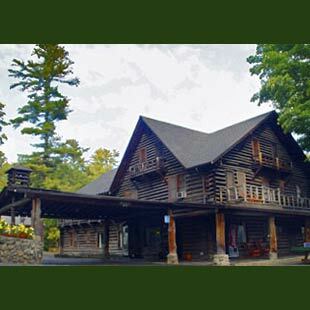 Located at the Alpine Village (an authentic Log Cabin Resort on beautiful Lake George) just 1/2 mile north of Lake George Village on Lake Shore Drive (Route 9N).